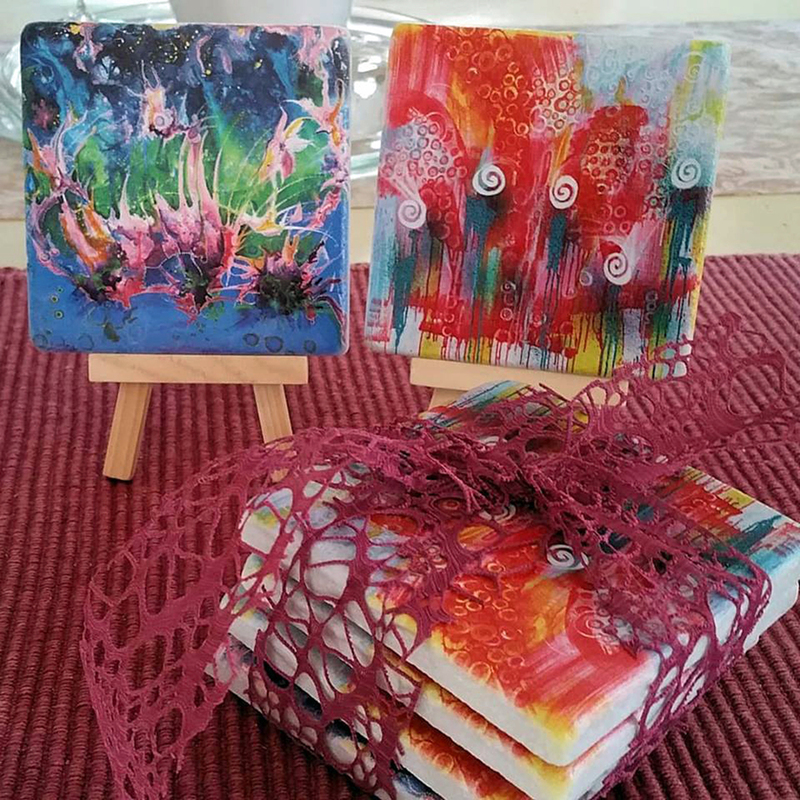 Another way to feel healing and love vibrations, these coasters imprinted with my some of my artworks will delight you, inspire you, beautify your table arrangement and keep furniture safe. Tiles are impervious to heat or cold. If you like a different painting imprinted, please contact me with your request. Make sure to allow 10 days turn around from order. Single coaster includes mini easel. Package of 4 are nicely wrapped with a color coordinated ribbon as shown in picture.